001. Hannah posted all about the life mistakes that she's glad she made. 002. Anna posted about the things that nobody tells you about blogging, but that you should know! 003. Ioanna is getting ready for her wedding and has had two disasterous hair trials so far - which she writes about here! 004. Rachel's posted a belated post all about her trip to Disneyland Paris over Christmas. We're going to Disney World for Halloween this year, but her post is making me think we need to sort something for Christmas too! The above photo is taken from Rachel's post. 005. Fii posted about her trip to a meerkat cafe, which had amazing timing as we were just reading up about a sheep cafe potentially coming to London! 006. Many things in Amber's life make me jealous, but none quite so much as how beautiful her walk in closet is! You can take a tour of it here. 007. Helene made a post all about how buying followers can actually hurt your engagement. 008. Hayley posted all about #dupegate. and at what point copying the more expensive make up brands becomes too far. 009. Leah was involved in a photoshoot for L'Oreal's new colourful hair range - it looks amazing (as does she!) and is something I definitely want to be giving a try. You can see her post all about it here. 010. Rebecca posted all about SourcedBox, which is the first review I've come across for the service. It's one I've been thinking of giving a try for a while but was a little put off due to the fact that the founder is Niomi Smart. Not because of who she is, I think she's great, but as it's essentially a YouTube product I suspected it wouldn't be all that great quality and wouldn't last very long. It looks like I've been proven wrong, and Rebecca's inspired me to give it a try soon! 011. Hannah posted all about the things that surprised her about going self employed. 012. Now that spring is officially here, Sophie posted all about spring cliches that are actually worth the hype. 013. Another from Helene - this time on the things she wished she knew before moving to a foreign country. Read it here! 014. 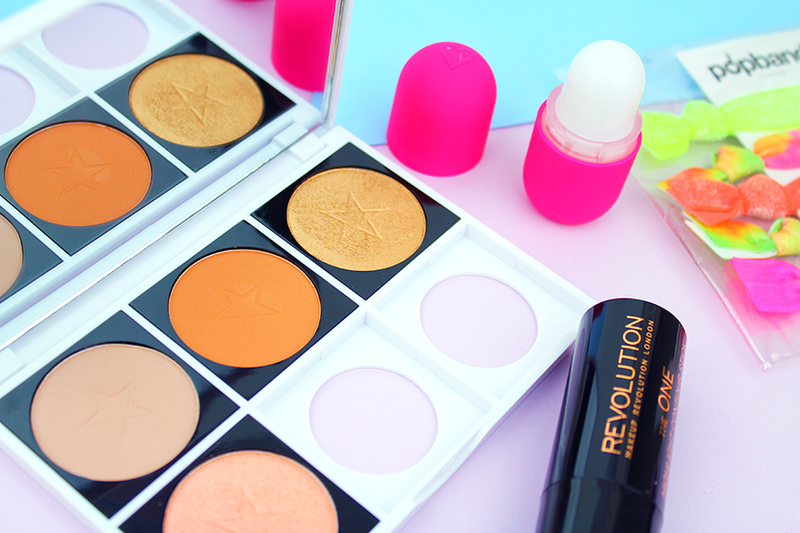 Jemma went to the Makeup Revolution 3rd birthday party and it looked amazing! She took some beautiful pictures whilst there, including the one shown above. Take a look at all of them here! 015. Gracie posted all about her personal experiences going through therapy. 016. Lottie took a trip to Herm, and it looks amazing! I posted about going to Guernsey about two years ago now, and whilst there we did contemplate going over to Herm but decided we didn't have enough time. It's nice to see what I missed out on! View it here. 017. And for a slightly different holiday, Angie posted her 10 reasons why the Maldives is the ultimate destination for luxury travel inspiration - and I couldn't agree with her more! I've never been, but her pictures are amazing and make me want to go and fix that fast.